I decided to record the leap second on as many shortwave time station frequencies as possible. The only viable options for me–based on time of day and my reception location–were the WWV frequencies 10, 15, 20, and 25 MHz, and CHU frequencies 7,850 and 14,670 kHz. Unfortunately, HF propagation was very poor yesterday, so the higher WWV frequencies–20 and 25 MHz–were completely inaudible, as was CHU on 14,670 kHz. There were numerous thunderstorms in our area, so static crashes were prevalent. Still, since this was a first attempt to record a “leap second,” I didn’t want to take any chances. 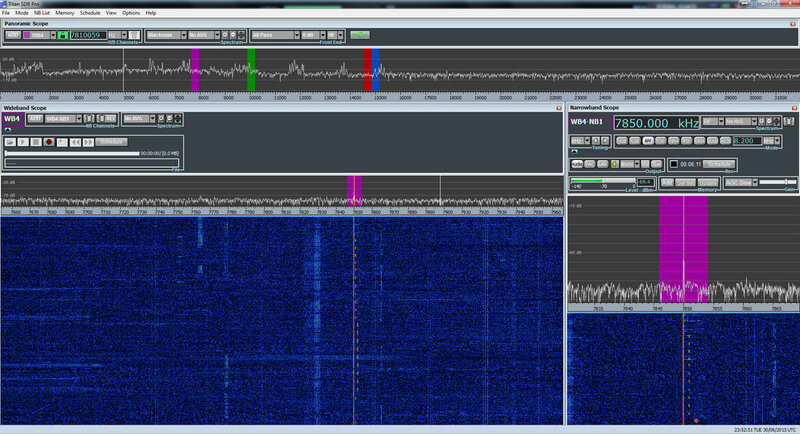 I had the Titan SDR Pro monitoring and recording two CHU and two WWV frequencies [screenshot], the Elad FDM-S2 recording WWV on 15 MHz [screenshot], and the WinRadio Excalibur on WWV’s 10 MHz frequency, as well as recording the whole 31 meter band spectrum [screenshot]. 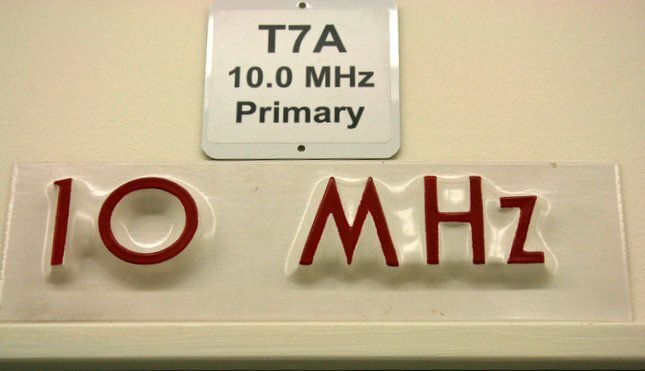 The sign above WWV’s primary 10 MHz transmitter (2014). WWV added the extra second and higher tone, then continued with their top of the hour announcements, including a note about leap second (which begins after the 00:04 announcement). CHU simply injects a one second silence before the long tone. One interesting note about the 10 MHz WWV recording above: I believe I may be hearing BPM China in the background. I’m curious if anyone can confirm this because I don’t know BPM’s cadence/pattern well enough to ID it. Did you record a shortwave time station as leap second happened? If so, please comment, and feel free to share a link to your recording! This entry was posted in Broadcasters, Current Events, News, Recordings, Shortwave Radio, What's On Shortwave and tagged 2015 Leap Second, BPM China, BSF Taiwan, CHU, HLA South Korea, Leap Second, Matthew Deutch, shortwave, shortwave radio time stations, Time Stations, WWV, WWVH on July 1, 2015 by Thomas. I should also mention, that was WWV at 10000 KHz. 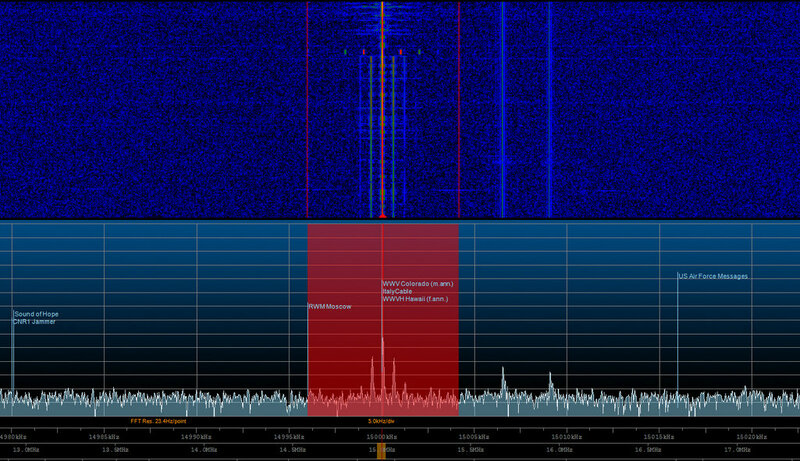 I recorded it as well, using an SDR-4+ fed by a PA0RDT whip. If I’d had more time, I also would’ve used my loop and Tecsun PL-680.